250 grams organic, vegan friendly Suma Prepacks Pumpkin seeds. * products of organic agriculture. essential fatty acids in omega mix : this mix typically contains 2.0g omega 3 and 17.0g omega 6 per 100g. The Suma Prepacks Organic Pumpkin Seeds 250g product ethics are indicated below. To learn more about these product ethics and to see related products, follow the links below. These pumpkin seeds are a lovely colour, larger and more flavourful than non-organic. I was also impressed with the recyclable packaging. Just a shame we have to import them all the way from China. Still, these tick as many boxes as possible. 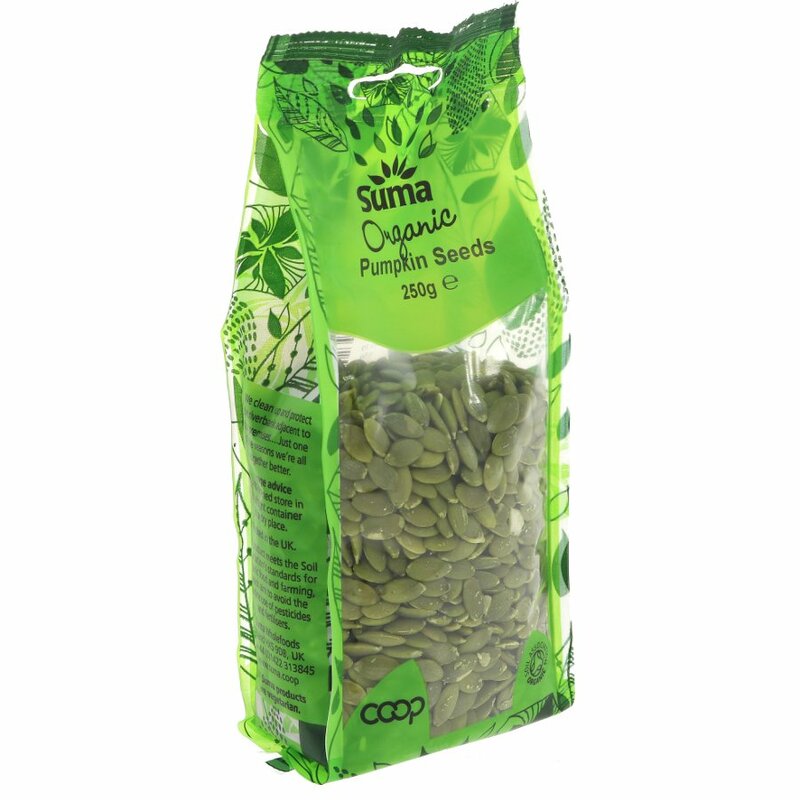 There are currently no questions to display about Suma Prepacks Organic Pumpkin Seeds 250g.